A new pizzeria has opened for business in the neighborhood. The fresh arrival to the East Village, called Sauce Pizzeria, is located at 345 E. 12th St. Well-versed foodies of New York may recognize Sauce as an Italian restaurant on the Lower East Side. 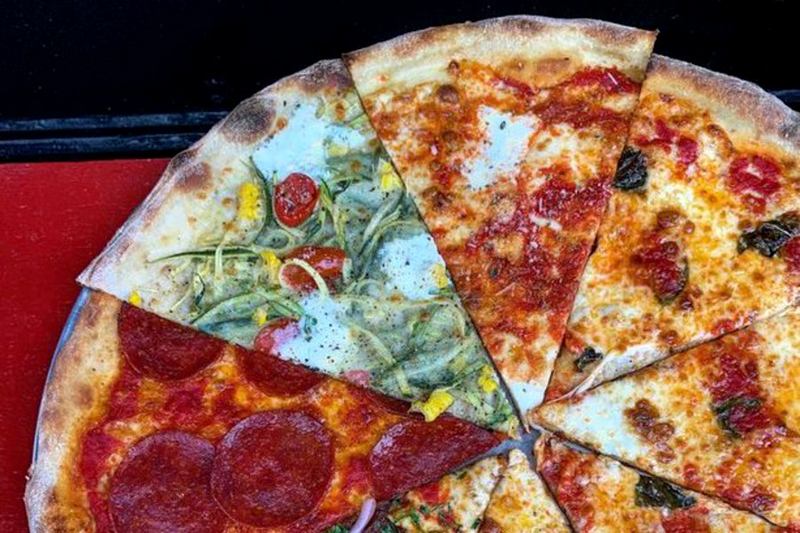 At this spinoff spot, you'll find pizza pies and slices served with a dipping sauce of your choosing -- classic red, spicy vodka or roasted pineapple. Pies can also be made with a gluten-free cauliflower crust. Sauce Pizzeria has already attracted fans thus far, with a 4.5-star rating out of 20 reviews on Yelp. Yelper Anurag P. wrote, "The NY slices here are pretty solid. Definitely up there with the other good LES and East Village slices. For a delicious take on a cheese slice, try the Upside Down Cheese slice. The accompanying sauce might seem unnecessary at first, but it's actually a really enjoyable way to finish your crust." And Mark S. added, "I was impressed. The tomato sauce was tangy. The pepperoni slice was hot and crispy, yet still moist and savory on top. It was truly delicious." Interested? Stop by to welcome the new business to the neighborhood. Sauce Pizzeria is open from noon-midnight Sunday-Thursday and noon-4 a.m. on Friday and Saturday.